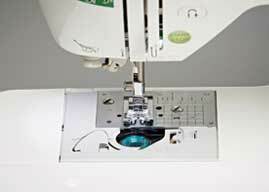 Katherine is a multi-talented sewing machine with features fit for all types of projects. 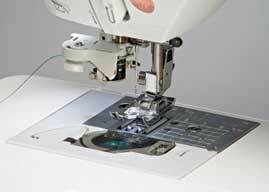 She has 190 built-in stitches, numerous included snap-on feet and a free-arm. She can handle anything from home décor to accessories and garments. Katherine is also a great choice if you’re looking to step up your skills. 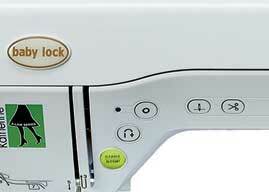 Push-button features, a knee lift, and an automatic needle threader make every project easier. 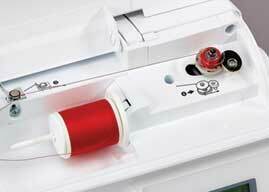 When you’re ready to take your sewing skills to the next level, Katherine will help you get there.